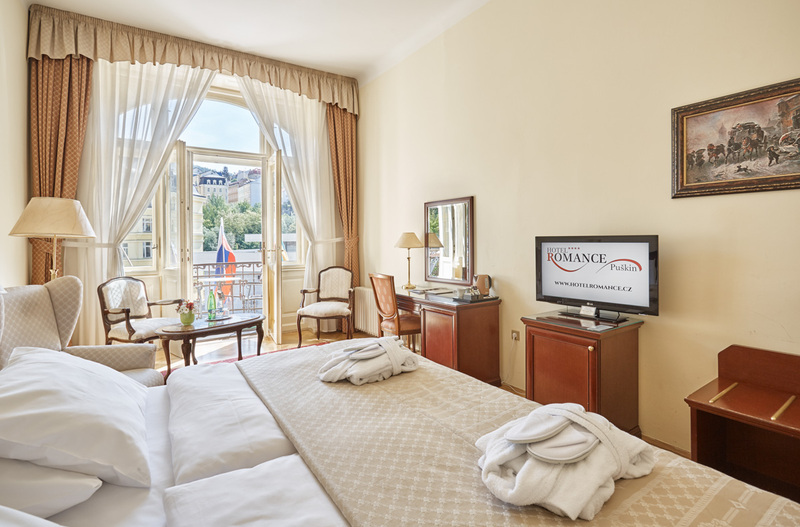 The elegant Suite Exclusive at the front side of the hotel will welcome you with a living room, bathroom with a bath and large separated bedroom. 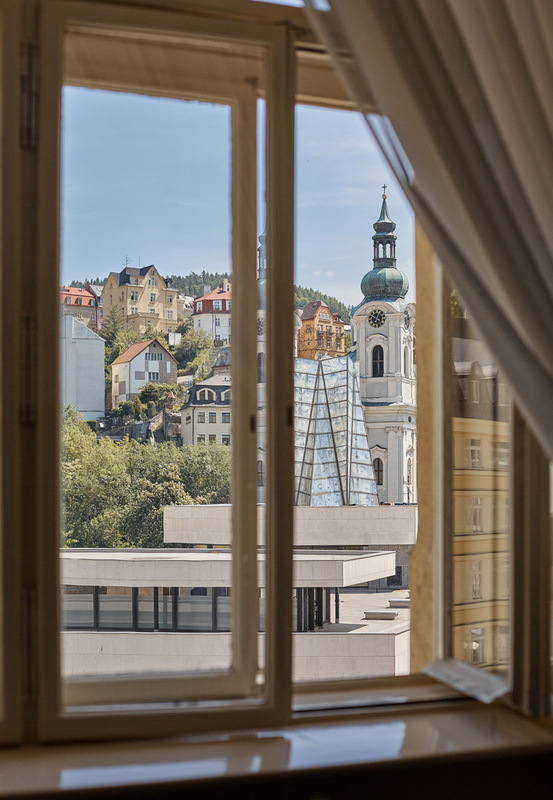 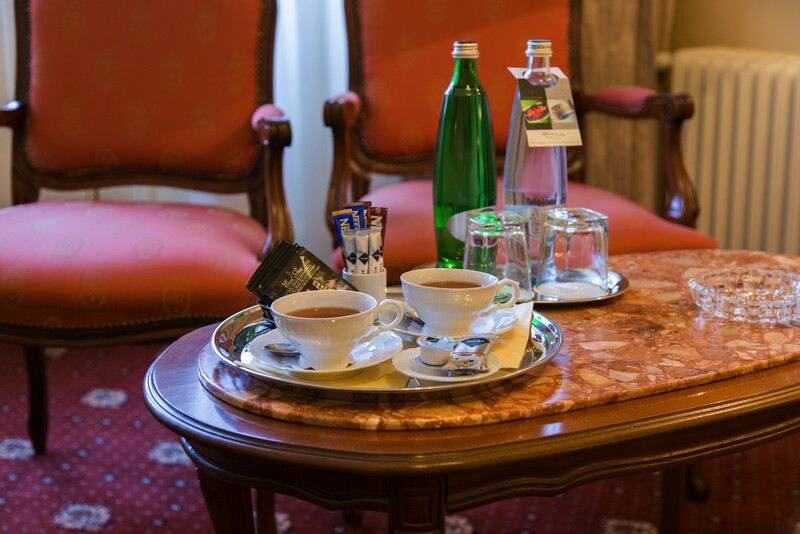 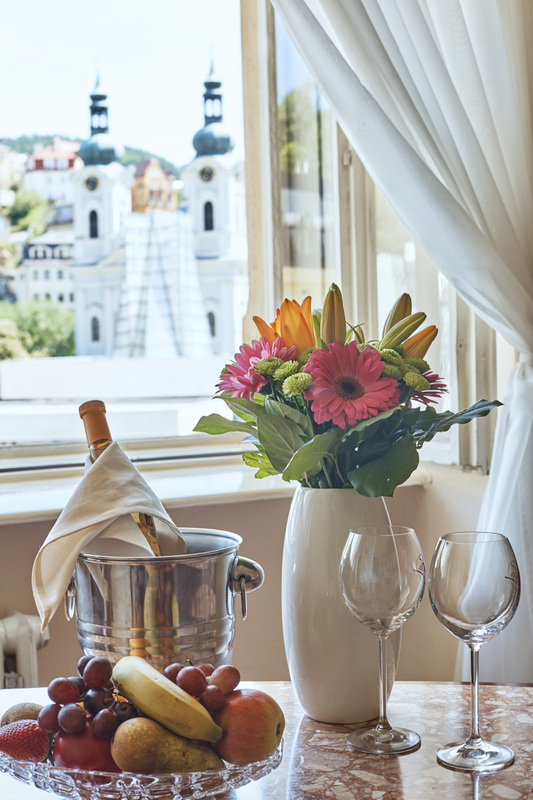 Windows from the bedroom are oriented to historical spa centre of Karlovy Vary and offer beautiful views to the colonnades and St. Mary Magdalene church. 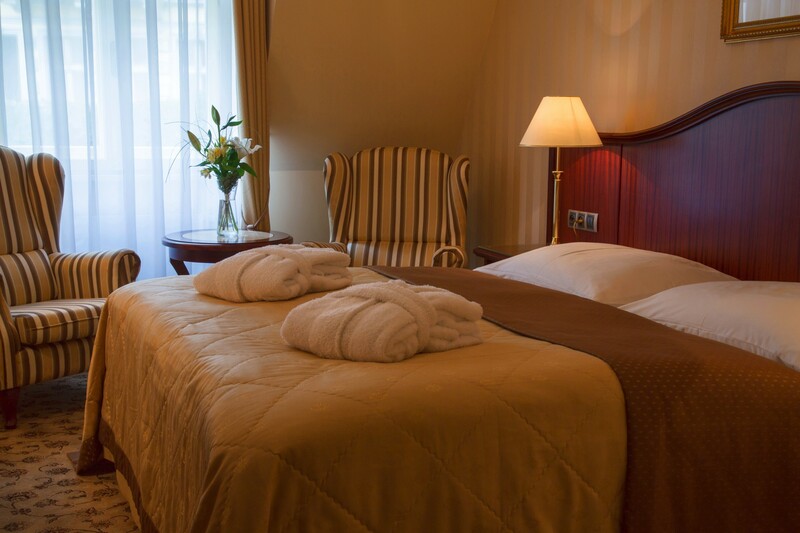 Luxurious mattresses KingKoil are matter of course as well as tea and coffee set, bathrobes, slippers and extra cosmetics. 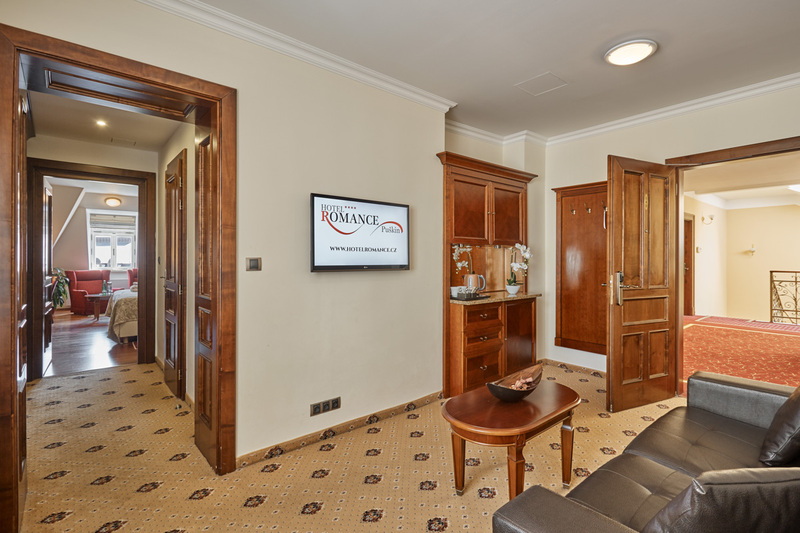 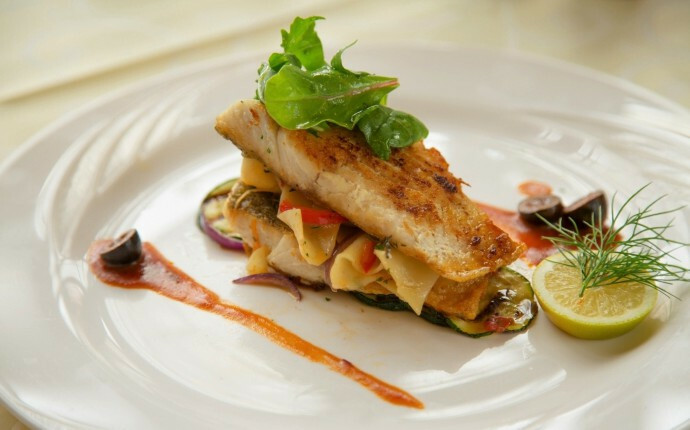 The 47 m2 suite offers accommodation for 2 persons in standard, yet there is a possibility to add up to 2 extra beds (extra charge applies) to accommodate up to 4 persons.